Armstrong Watson Financial Planning Limited is the independent financial advisory division of Armstrong Watson. With over 30 years experience, our qualified team of advisers have the expertise to help develop our clients’ business and personal financial strategies. 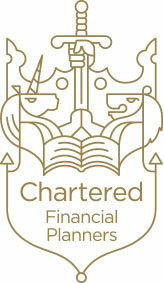 We are recognised by the Chartered Insurance Institute as a Chartered firm of financial planners. This means we have satisfied rigorous criteria relating to professional qualifications and ethical good practice. It means that you can be confident that you are dealing with one of the UK's leading firms that is wholly committed to providing you with the best possible advice, service and support. We understand the need to have a long term approach and we make sure we get to know you, your plans and your hopes. In doing so, we can build lasting relationships and provide service of the highest possible quality. Financial planning advice is not always a stand alone activity and where relevant to your needs, we are able to work with other specialists from the accountancy, tax and business advisory areas of the wider Armstrong Watson group to ensure you have a solution tailored specifically to you. We are also happy to work in conjunction with other professional advisers you may already deal with. Armstrong Watson is a leading independent accountancy firm with offices across the Cumbria, Northumberland, the South Lakes, Yorkshire and Scotland. Armstrong Watson Financial Planning is proud to have achieved the prestigious title ‘Chartered Financial Planners’ granted by the Chartered Insurance Institute (CII). This status is an objective mark of professional standing among all professions. It is awarded to firms who can demonstrate commitment to developing knowledge, enhancing capability and maintaining ethical standards. To retain our title we must ensure the advice, service and ongoing support we provide are of the highest quality. Our advice must be based solely on your researched needs, and provided by someone competent to discuss products and services that meet your requirements. A Chartered title is a commitment to an overall standard of client excellence and professionalism.